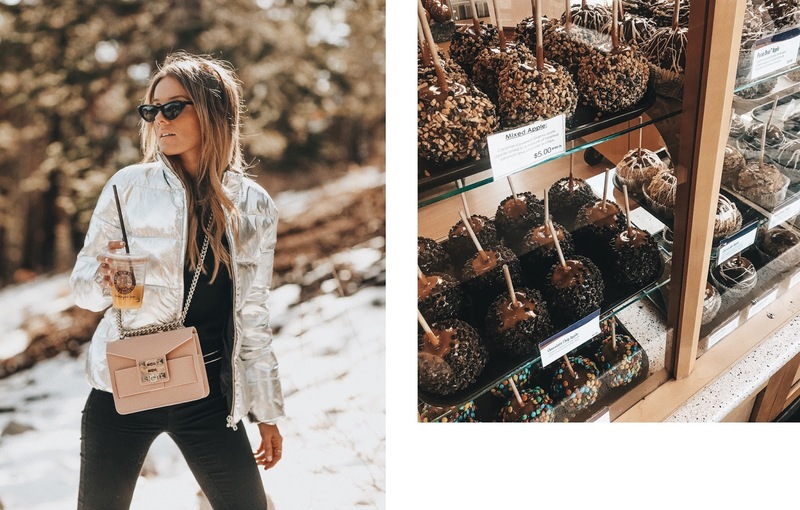 Your guide to a weekend in Mammoth. Whether you snowboard, ski or none of the above Mammoth has something to offer for all. It's no surprise I am scared to death to be strapped onto a board and try to maneuver my way down a slippery, icy hill and for that reason I wanted to put together a post about things to do if you aren't into it either! 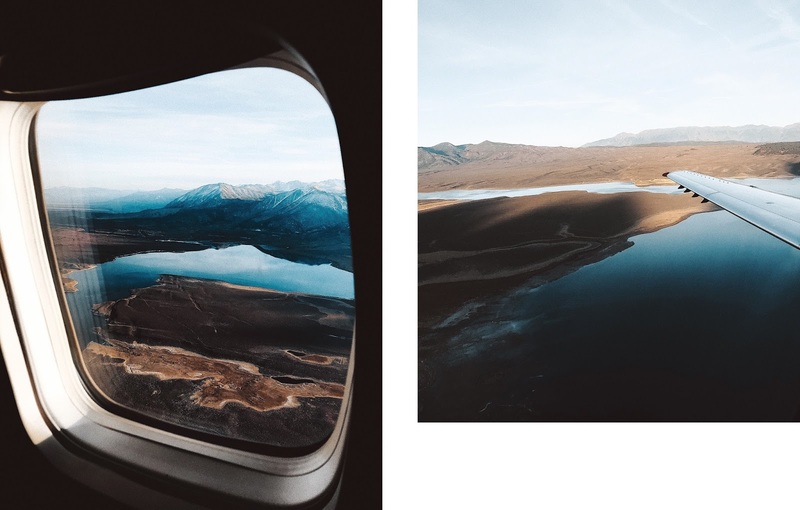 If you have already booked the trip and need some more insights I recommend you also check out VisitMammoth.com or just follow them on @visitmammoth for all the must-see and visit spots around town as my post is just a glimpse of it. Mammoth is just an hour away flight time from Los Angeles, however once you add the boarding time, crowds of people, luggage wait time etc. it turns into 2 or more hours depending on which day you go. Well, this is where JetSuiteX comes in and cuts that time literally in a half if not more! Before ya'll jump into conclusions that it's a super exclusive jet and I'm a baller -- let me clarify a few things, a flight is just as affordable as you'd buy it on a regular website by the commonly known airlines. It has it's own private terminal at each airport that they fly in/out to which is super convenient as you enter it through a different way and don't have to deal with ANY airport hassle. It offers semi-private flights so you're up in the air with up to 30 or so people. You have to be at their private entrance 30minutes prior to flight! Wifi (FREE!) + drinks (alcohol + non as well as snacks) on the plane are a big bonus. 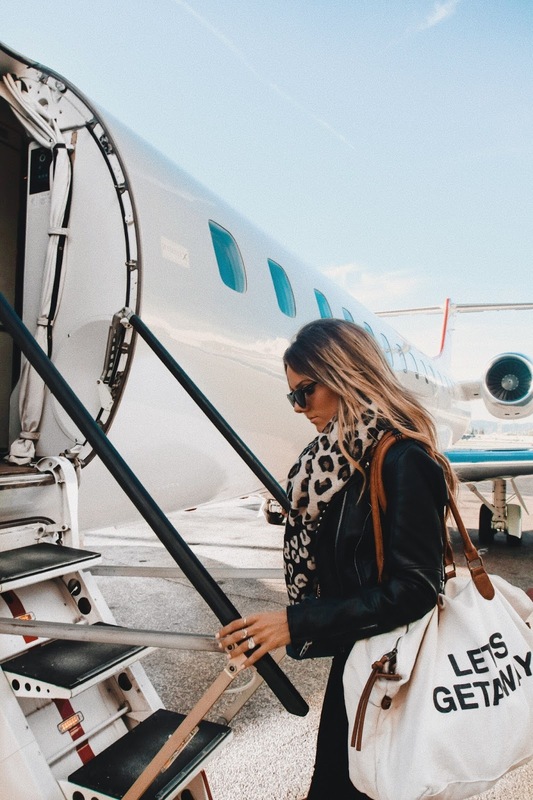 The perks are JetSuiteX has their one private entrance (hanger located right by Burbank airport), valley so you don't have go through the hassle of parking, no security lines, and my favorite part being that you only have to arrive 30 minutes prior to take off. Oh and did I mention the jets are semi-private so you're only traveling with other 20 people or so. With me going to Mammoth for the first time and Adam going there to snowboard we needed to check off both boxes for the hotel -- convenience and stuff to do, that's how we stumbled across Westin. Usually we're all about the cabin life but when it's just two of us traveling it makes more sense to stay at a hotel where you can conveniently get everything you want, whether it's a restaurant/bar downstairs, walking distance to the transport to get up the mountain or room service. In brief, Westin is located less than a block away from "gandola". 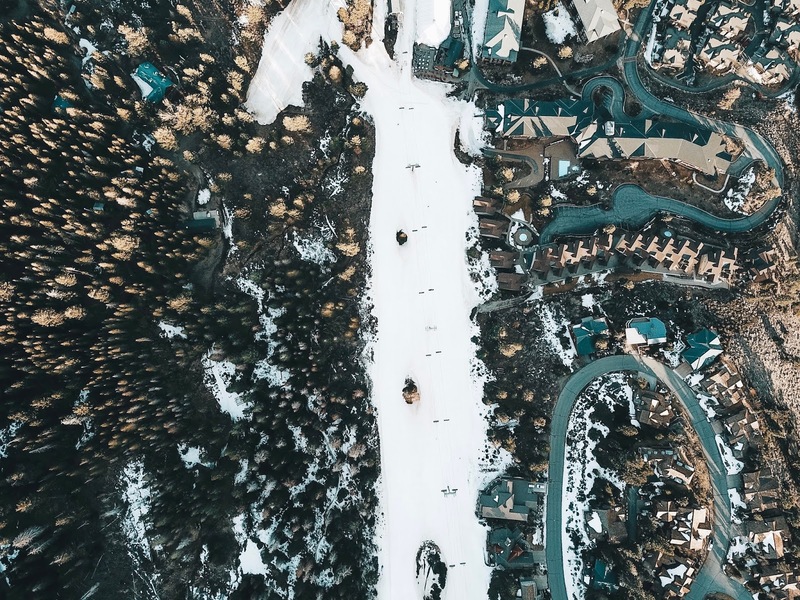 What it does is that it takes you up to the Mammoth Mountain at no charge to go snowboarding, ski or simply enjoy the snow! 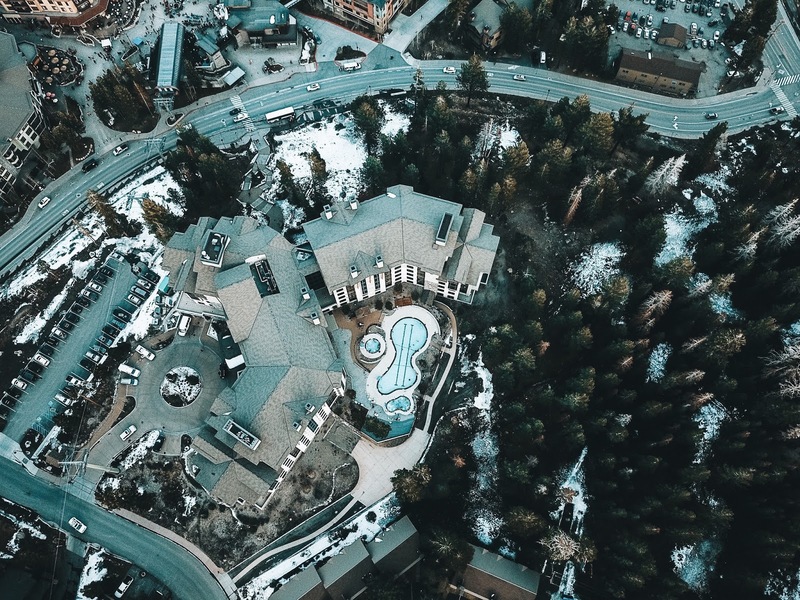 If you're like me and you aren't into snow activities up on the mountain hotel offers a pretty relaxing stay including heated pool, jacuzzi etc. Thankfully our hotel was not only a block away from "gandola" but also from the Mammoth Village which was the main area of the town filled with restaurants, bars and a fun concert happening on Saturday! While it may seem like a small village it literally has everything and anything you may be craving. A few places we checked out that I recommend to try: 53 Kitchen & Cocktails (their homemade bread is a must-try! ), Pita Pit (delicious falafels) and Old New York Deli & Bakery (tuna sandwich is BOMB.COM!!!) . A C T I V I T I E S.
As I have mentioned earlier I do not snowboard/ski so when we do decide to go somewhere cold I always want to make sure we're right next to town. 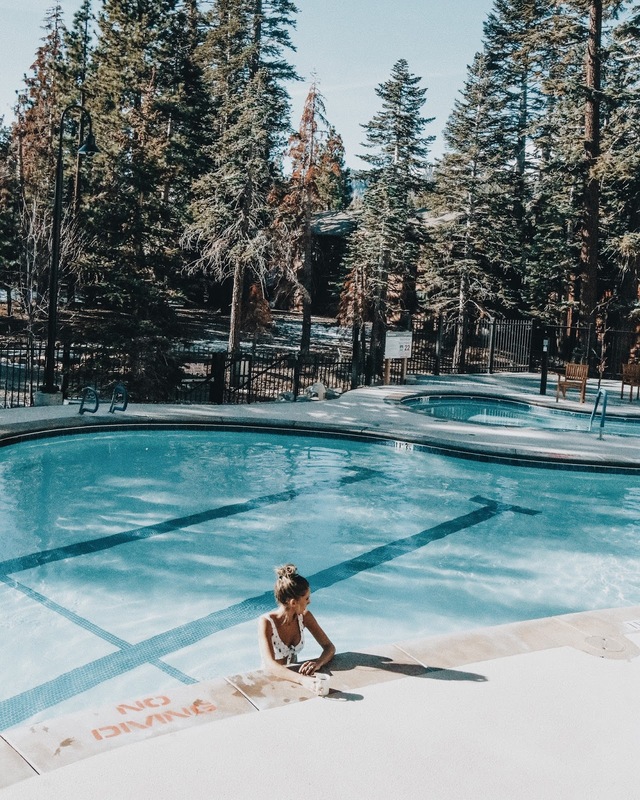 While this was a relaxing getaway for me, Mammoth does offer PLENTY of activities like snowboarding, skiing, dogsledding and taking snowmobiles around the mountains when there is more snow. If you want to look at a full list of fun activities and what else Mammoth offers check out VisitMammoth.com ! Thank you JetSuiteX and VisitMammoth for partnering with me on this fun trip to Mammoth.